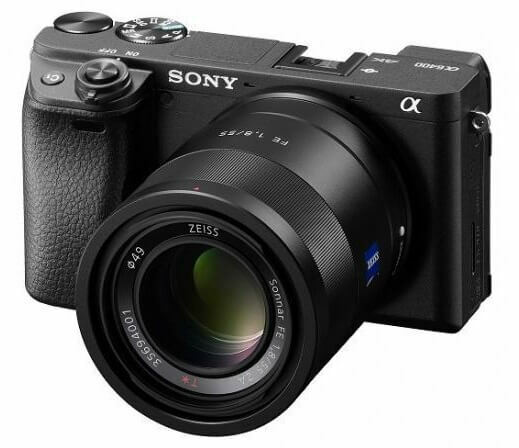 The Sony α6400 mirrorless camera is now officially available nationwide! All types of creators -- from professionals to everyday vloggers -- will surely have something exciting to look forward to with the introduction of the newest E-mount camera. The α6400 brings many of Sony’s most advanced technologies from their acclaimed full-frame lineup to a compact, lightweight APS-C camera. The speedy new camera boasts the world’s fastest autofocus (AF) acquisition of 0.02 seconds, while also introducing new advanced capabilities. The new camera features 425 phase-detection AF points and 425 contrast-detection AF points that are placed densely over the entire image area, covering approximately 84% of the image area. It can also detect and process eye data in real time through artificial intelligence-based (AI-based) object recognition that improves accuracy, speed, and tracking performance of "Real-time Eye AF." Also debuting on the α6400 is Sony’s newly developed “Real-time Tracking.” This mode utilizes Sony’s latest algorithm including AI-based object recognition and processes color, subject distance (depth), pattern (brightness) as spatial information to ensure that all subjects can be captured with excellent accuracy. Also included are high-speed shooting at up to 11 fps4 with AF/AE tracking, a new-generation BIONZ X image processing engine that produces excellent image quality, 4K video recording, a fully 180-degree tiltable LCD touch screen and much more. The camera packs a high quality XGA OLED Tru-finder viewfinder, extensive customization with 89 functions that are assignable to eight custom keys, the new My Dial and My Menu functionality, enhanced overall menu usability, a help screen for menus, star rating for images, and many other features that allow for a seamless shooting experience.